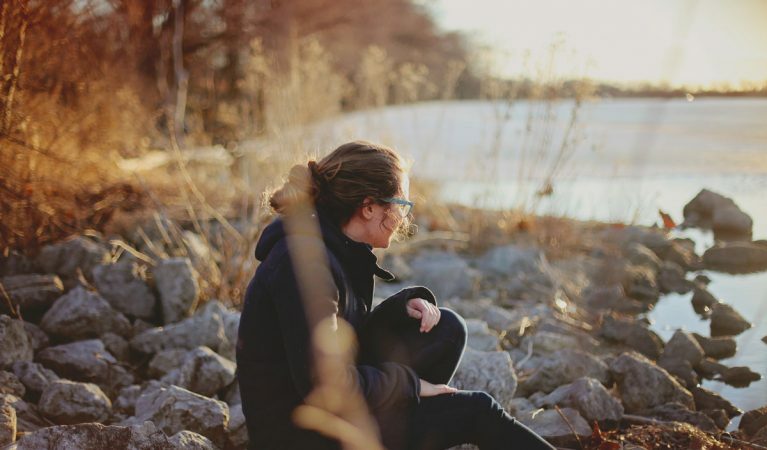 The Catchment Based Approach (CaBA) is an inclusive, civil society-led initiative that works in partnership with Government, Local Authorities, Water Companies, businesses and more, to maximise the natural value of our environment. CaBA partnerships are actively working in all 100+ river catchments across England and cross-border with Wales, directly supporting achievement of many of the targets under the Government’s 25 Year Environment Plan. From the source of our rivers to the sea, across our towns, cities, countryside and coasts – a healthy water environment is essential to all of us. It provides us with the water we need to live and to run our businesses efficiently. It reduces the risk to our homes and livelihoods of flooding. A healthy water environment means better places to live, where people and wildlife flourish. In the past, management of the water environment has fallen to Government, to private companies and to landowners, often operating in isolation. The Catchment Based Approach (CaBA) embeds collaborative working at a river catchment scale, delivering a range of environmental, social and economic benefits and protecting our precious water environments for the benefit of us all. 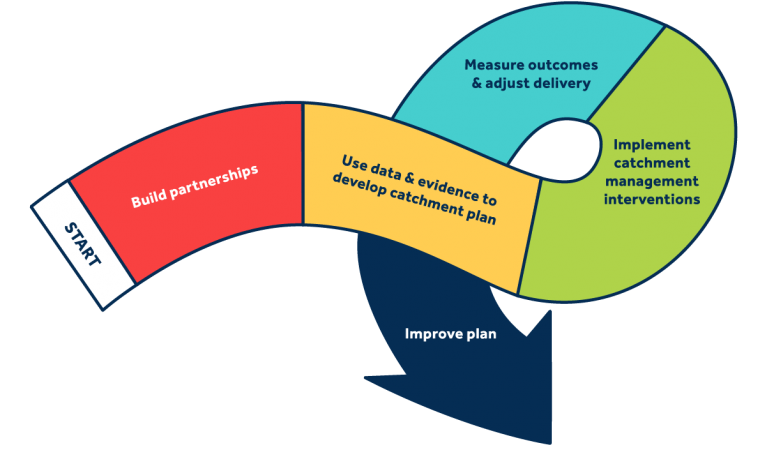 What is a Catchment Partnership? Catchment partnerships bring local knowledge and expertise, and are active in each of the 100+ Water Framework Directive catchments across England, including those cross-border with Wales. 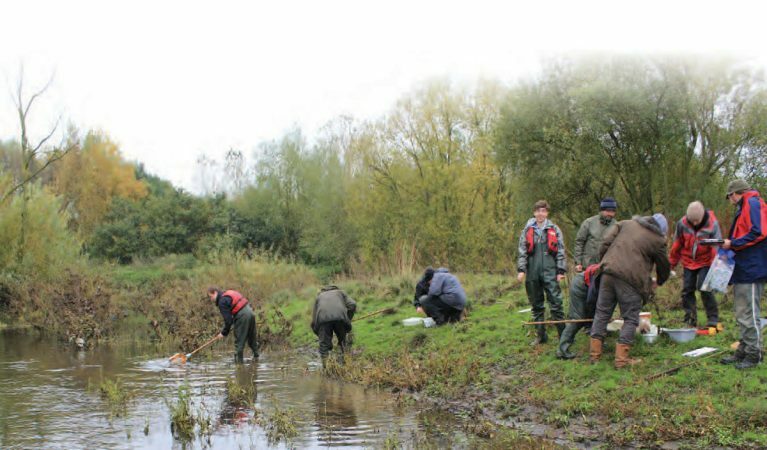 Numerous organisations and sectoral interests are involved with CaBA nationwide, including Environmental NGOs, Water Companies, Local Authorities, Government Agencies, Landowners, Angling Clubs, Farmer Representative Bodies, Academia and Local Businesses. The CaBA partnerships each undertake integrated management of land and water, addressing each river catchment as a whole and delivering crosscutting practical interventions on the ground. These result in multiple benefits including improvements to water quality, enhanced biodiversity, reduced flood risk, resilience to climate change, more resource efficient and sustainable businesses and, health and wellbeing benefits for local communities as they engage with and take ownership of their local river environment. Due to the diversity of the partnerships, the technical expertise therein and the development of catchment plans – underpinned by robust data and evidence – CaBA partnerships have proven adept at securing project funds from multiple sources: to date, CaBA has leveraged, on average, more than 8 times the initial core investment. The partnerships also have strong convening power, providing a catalyst to bring together a range of sectoral interests and to address land and water management in a strategic manner, at the whole catchment scale. ‘Increasing resource efficiency, and reducing pollution and waste’. Whilst top-down regulation does have a key role to play within land and water management, it alone cannot address the breadth and complexity of the issue or fully realise the range of environmental, societal and economic benefits that can be achieved. To do so requires a collaborative approach that engages all sectors of society, including businesses, civil society and local authorities. Collaborative working means that a diverse range of funds can be tapped, enabling partnerships to ‘get more for less’, deliver cost-effective improvements and maximize the multiple benefits that can be realised for both people and the environment. A collaborative partnership approach also brings local knowledge, and expertise to bear and encourages individuals, organisations and communities to take ownership of issues. Additionally, at a time when funding constraints limit the spatial and temporal scale of regulatory monitoring of the environment, collaborative working can bring other datasets into play, able to draw too upon a wealth of citizen science. Working collaboratively can also resolve conflicting viewpoints bringing about improvement through consensus and the identification of trade-offs, thereby avoiding costly and lengthy legal intervention. Such an approach yields solutions that are sustainable for the long-term. For every £1 directly invested by the government, CaBA partnerships have raised £6.50 from non-governmental funders plus £23million of wider government funding invested via a collaborative catchment-based approach.